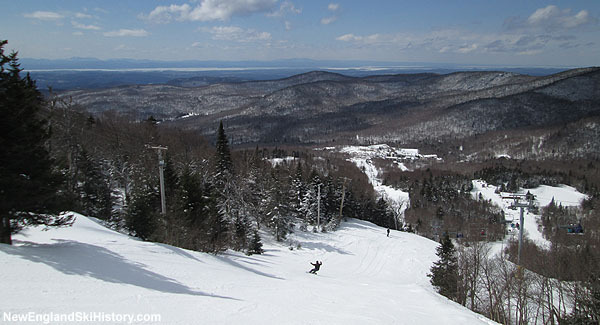 Located south of Stowe, Bolton Valley is composed of multiple trail complexes served by fixed grip chairlifts. A vast network of tree skiing attracts backcountry skiers during winters of good snowfall. The DesLauriers family opened the Vermont resort in 1966.